Joe Scarborough, host of MSNBC’s “Morning Joe,” implored Republicans to back away from supporting Donald Trump or else risk losing the general election this year. Trump, who is now the presumptive Republican nominee for president, has been criticised heavily from within his own party in recent days as he’s continued to attack US District Judge Gonzalo Curiel, who is presiding over two fraud lawsuits involving for-profit real-estate school Trump University. Trump has questioned whether Curiel, who was born in Indiana but whose parents are Mexican, should be allowed to handle the Trump University case. Trump has said that Curiel’s ethnic background creates an “inherent conflict of interest” because Trump has promised to build a wall along the US-Mexico border. 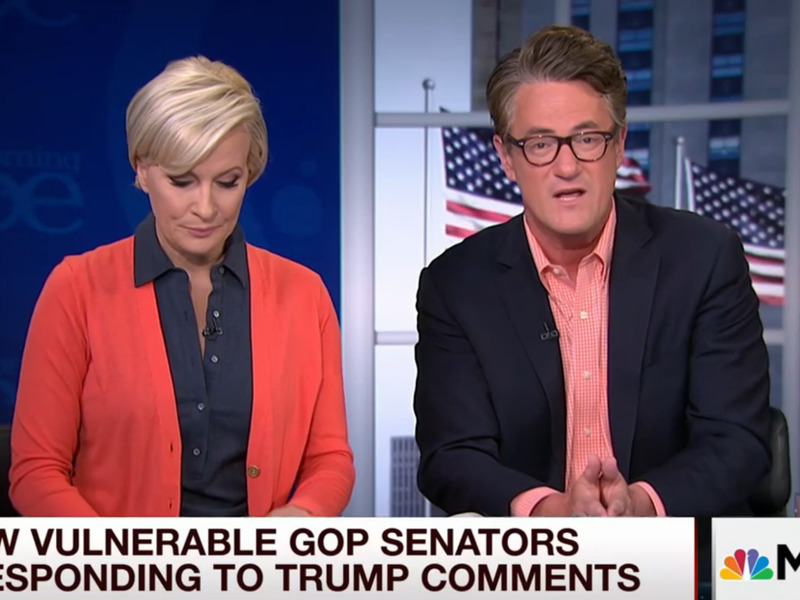 Scarborough said he wanted Republicans to go further than condemning Trump’s comments. In a segment on Tuesday’s “Morning Joe,” he implored Republicans to back away from their endorsements of him. “Republicans in Washington, DC: Right now you are letting your presumptive nominee, who is making racist statements, run roughshod over what remaining national reputation we have as a national party,” Scarborough said. If the Speaker of the House continues to endorse a man making racist statements and really tearing away at the very fabric of Madison’s separation of powers that talks about an independent judiciary, then the House of Representatives is in danger. Republicans: Call him out. Back away from those endorsements. Make him back down on the Muslim ban. Make him back down on this racist comment that he’s made about a man born in Indiana … Or else you will lose the Senate, you will lose the House, you will lose the presidency, you will lose governorships, you will lose your standing as a national party. It’s that simple. House Speaker Paul Ryan continued to condemn Trump’s judge attacks on Tuesday, admitting that they were “racist,” but defended his endorsement of the candidate on the premise that he’s a better option than presumptive Democratic nominee Hillary Clinton.